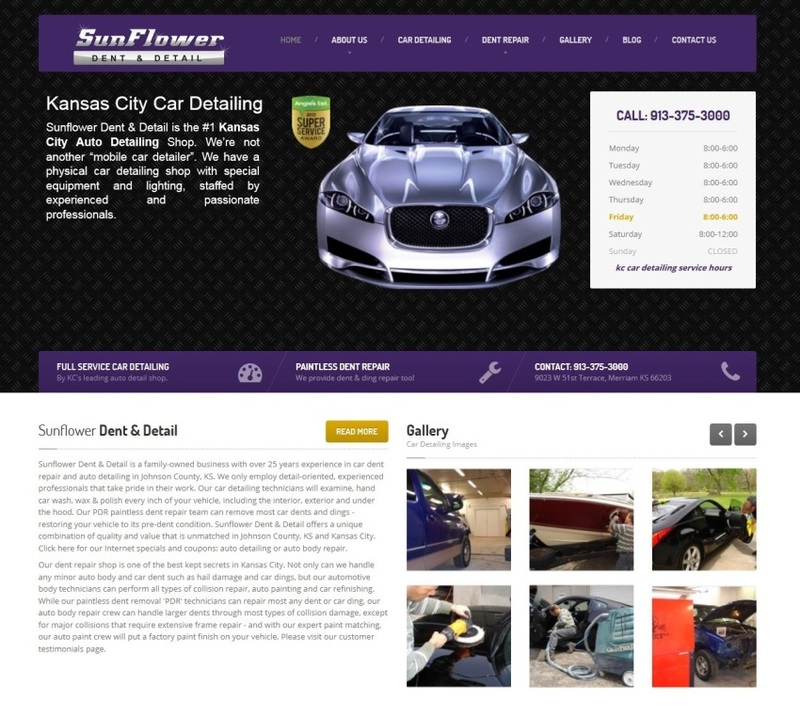 As a reputable Kansas City auto detailing and body collision repair shop, the staff at SunFlower Dent & Detail believes that providing dependable service by professionals who are experts is more important than a shiny, impressive facility located in prime traffic areas. Whether you are in need of auto detailing, paintless dent repair or auto body repair, SunFlower Dent & Detail employs technicians who are skilled and dedicated to customer satisfaction. Some of the auto body repair services offered include rust & corrosion repair, plastic bumper, fender, and panel repairs, auto body painting, scratch repair and the removal of minor dings or dents. If your vehicle has been damaged in an accident, SunFlower is the Kansas City auto body repair shop you can rely on to make your vehicle look like new – without costing an arm and a leg. Because the facility focuses on staffing professionals who are experts at their trade rather than a fancy storefront and hiring the cheapest labor to get the job done, prices are affordable. No huge overhead for a fancy building and great location, just technicians who offer superior quality work. SunFlower Dent & Detail offers PDR, or paintless dent repair, for those who have those little pings, dents, or dings that are often caused by shopping carts, hail, and other car doors in parking lots. Many customers who have had the PDR service performed on their vehicles for the first time are amazed by the results, and even more amazed by the price considering what most other Kansas City car dent removal services charge. Just need your car detailed out? No problem at all – SunFlower Dent & Detail takes care of auto detailing, cleaning your vehicle inside and out until it shines like a new penny! Detailed auto cleaning isn’t just a “spit shine,” it’s extreme cleaning and polishing so that the result is a car that’s “showroom floor” ready. For all of your auto detailing, auto body repair and paintless dent repair needs, count on SunFlower Dent & Detail.